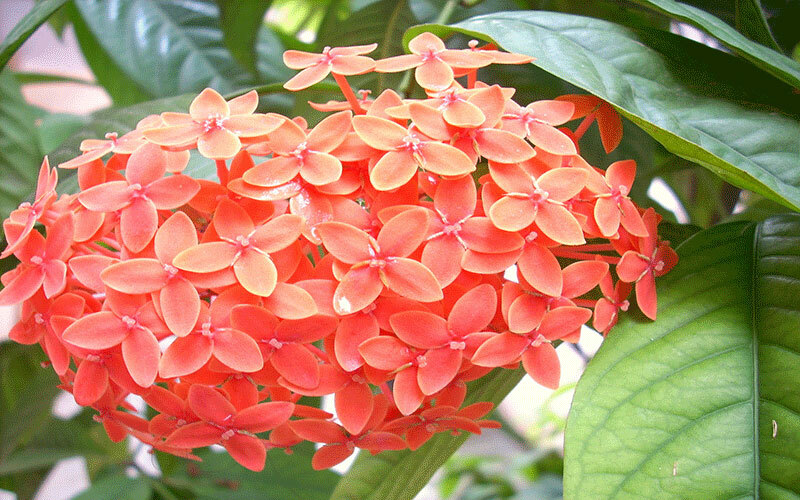 Handsome Super King as big, deep scarlet blossoms, making it one of the most eye-catching red flowering shrubs for the garden. These outstanding landscape plants bloom on and off during most of the year, more so in warmer months. They attract butterflies and thrive with just basic care. Their size works in any yard with correct placement. Too tall for use as foundation plants, these larger varieties can add color and interest along a blank garage wall or a plain fence. Elegant yet casual, their look fits in well with tropical landscapes or cottage garden style, as well as more formal designs. Add top soil or organic peat moss to the hole when you plant. You can also add in composted cow manure to enrich the soil around the plant's root ball.Trim lightly for shaping anytime during warm months. Since the Maui and dwarf varieties are smaller, Super King and Nora Grant are more effective for hedges, privacy plants or bigger, fuller accents. These shrubs look best with branch trimming, rather than being manicured with hedge trimmers. 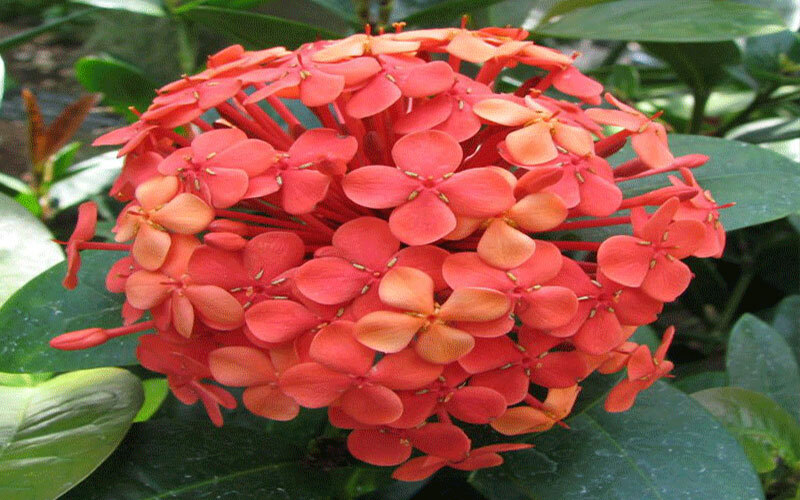 They have a naturally beautiful, mounded form and can grow fairly wide. Water regularly but let the plant dry out a bit between watering. 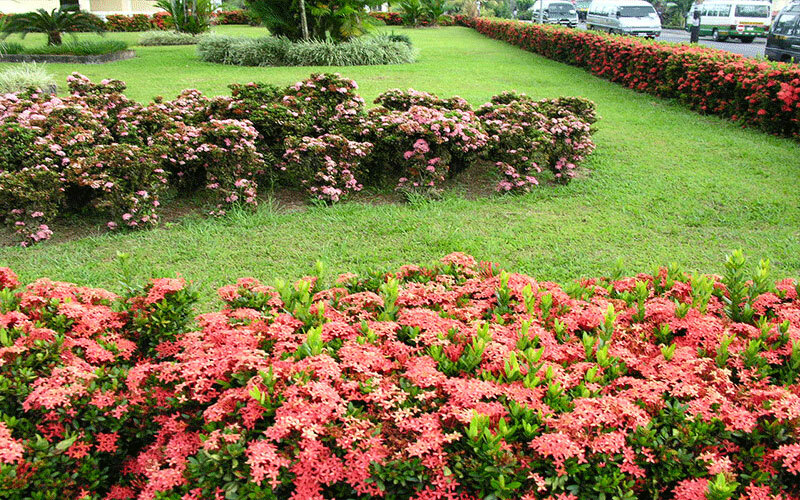 Fertilize 3 times a year in spring, summer, and autumn with a quality granular fertilizer with numbers like 7-0-7. 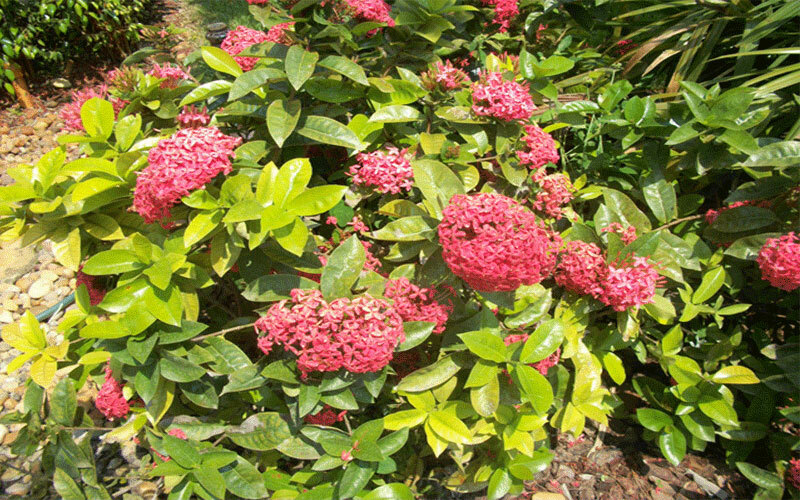 These shrubs are happier with an all-purpose food, the same fertilizer you'd use for non-flowering shrubs. Plant Spacing: Place about 3 feet apart. Come out from the house 2 to 3 feet, and away from walks, drives or the entry 3 feet or more to give the plant room for growth.